Christopher Nolan became an A-List Hollywood director with Batman Begins (2005) and The Dark Knight (2008) but his early films contain intriguing images related to the caped crusader. In his debut film Following (1998), there is a sequence in which two characters (played by Jeremy Theobold and Alex Haw) break into a flat which has a Batman logo on the front door. When Nolan was shooting this film on a tiny budget of around $6,000 it would have been fanciful to imagine that just a few years later he would be the director entrusted by Warner Bros to reboot the Batman franchise with a budget of $150 million. …the apartment of my character, ‘The Young Man’, was my flat in Iliffe Street, Walworth. Which is also where the bat was. 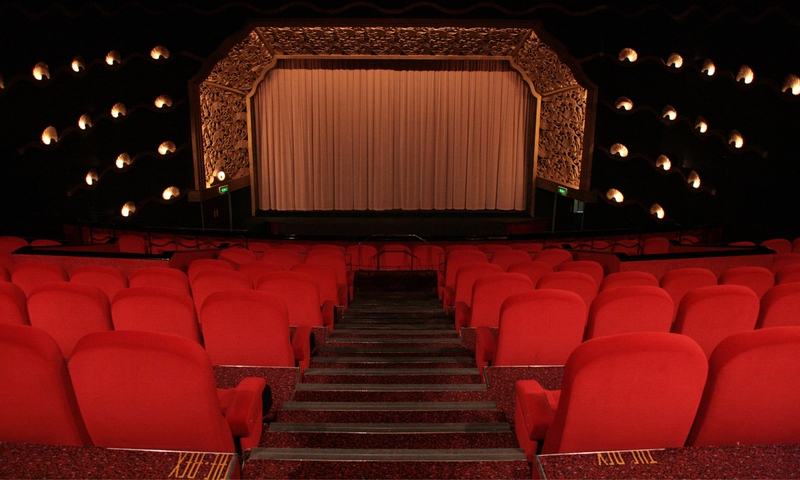 And that was the way we made the film. None of the sets were designed, few were dressed. We made do — or rather, Chris chose places he thought were suitable and would take little arranging. If you zoom in to the top right of the frame (timed at 0:47:58 on the DVD) you can see the logo for Batman alongside one for Superman. The other twist is that Warner Bros have also entrusted Nolan with producing a new Superman film. Was it fate? Destiny? A cunning career plan? 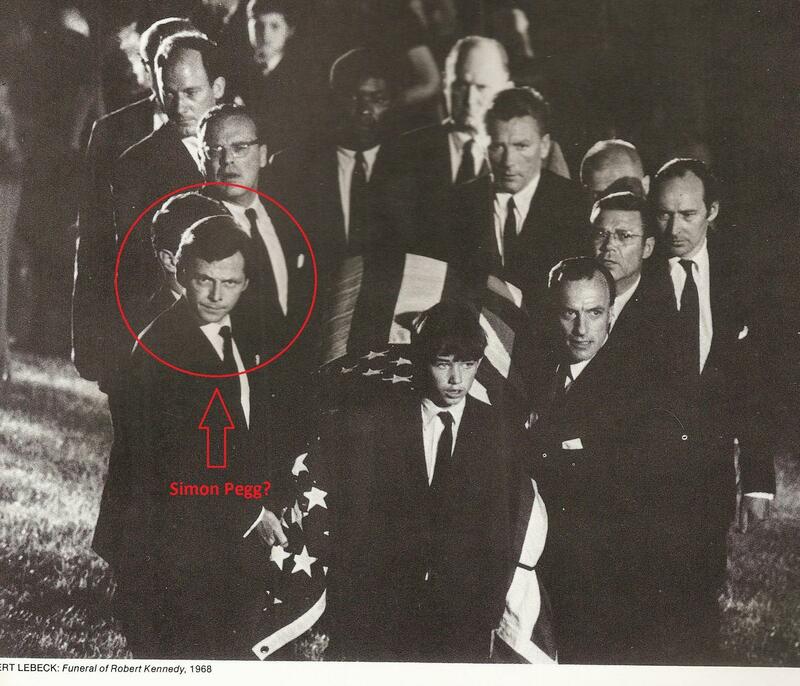 It is almost as spooky as that Shining-style picture of ‘Simon Pegg’ at Bobby Kennedy’s funeral.